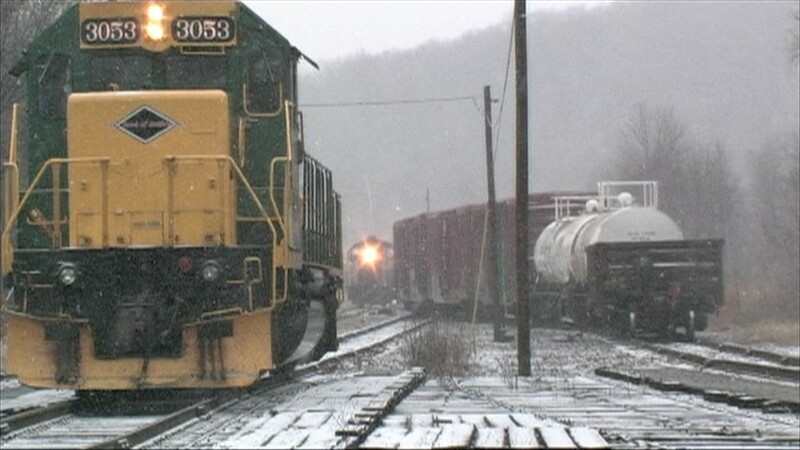 On December 31, there was alot of activity in the Pittston Yard. RN 3056 came down from Penobscot Yard, RN 3053 switching cars from 3056 and Luzerne Susquehanna Railway 102. Shot by Brian Reese.